Lyrics create memories, emotion, connection, and controversy. They tell us about their writer, from the sophistication of their word choices to their writing process. 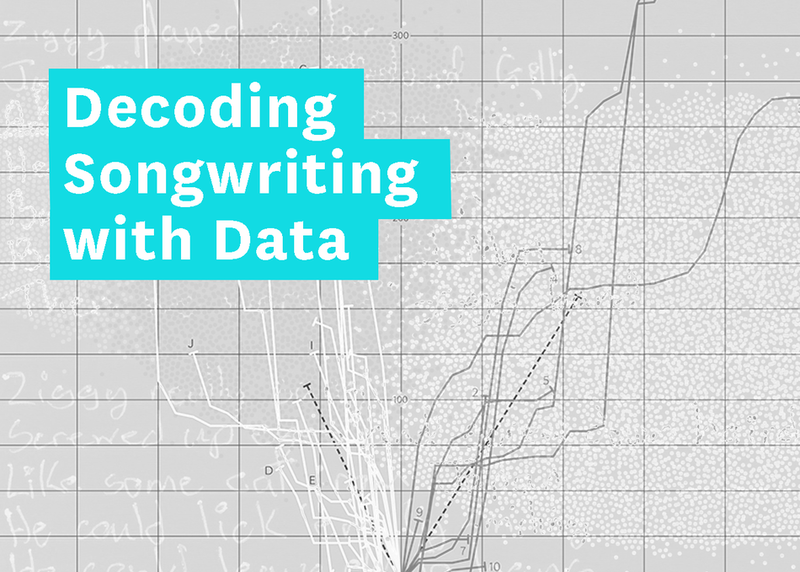 Over the course of 2016 we tracked the lyrics of the songs we heard, from popular music to our favorite indie artists, and decomposed them into their atomic parts in order to decode songwriting. Every part of a lyric is an avenue of insight. Visualizing the syllables, words, phrases, lines, rhymes, and verses provides a way to compare the works of even the most diverse artists. We will take this quantitative approach to lyrics and contrast it with the art of songwriting and see if there is validity to an analytical approach.